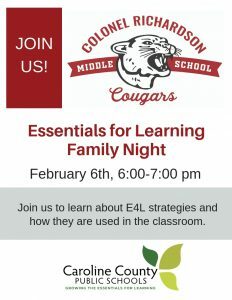 We will be hosting an information night for parents on February 6, 2019 from 6PM – 7PM in our cafeteria. Please come out to hear more about our instructional program, hear from some of our teachers, and participate in a question and answer. See the flyer below for more information!